British Science Week is now fast approaching and people are looking for information about it so we have put together a few facts about the 10 day event that is due to take place in March. British Science Week What Is It? – British Science Week is a 10 day event that takes place in the UK and see’s people of all ages across the country partake in events that are related to Science. Can I Organise An Event And If So How? – The short answer is yes you can. Whether you want to do something from your school. workplace or even your home. The British Science Association http://www.britishscienceassociation.org will even help organisers by offering free activity and support resources. When And Where Will It Take Place? – The event starts on the 11th March 2016 and ends on the 20th March 2016 and takes place across the UK in many different places and venues. What Can Fizz Pop Science Offer? – We will have a huge diary of events that are set up for the week and would love to see you wherever we are. We can also help you with putting together ideas for your own events locally. Whether you might simply just want to host a science party that week to enable your guests to partake in the celebration that is science. 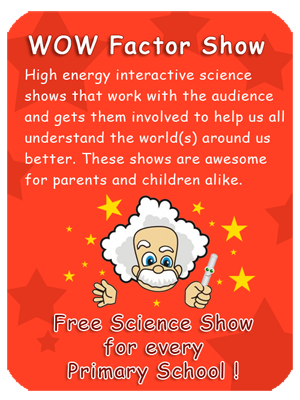 Maybe you run a school and would like to offer a science workshop that week?